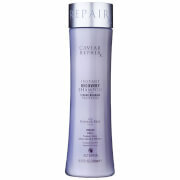 Massage through your hair and scalp on a daily basis. 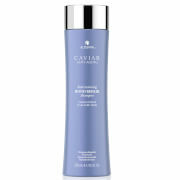 Rinse throughly, towel dry and use the Alterna Caviar Seasilk Moisture Conditioner for the full effect. this shampoo is amazing! it solved my dry-end hair problem! 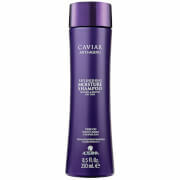 I love the smelling ,and make my hair really smooth and soft ..
Bought the shampoo and the conditioner, and I am really impressed, makes your hair feel great and easy to manage.